For the first birthday party for two of our friends, we were asked to make the cakes and help decorate. The invitations had polka dots, so we went with that theme and it turned out pretty cute. 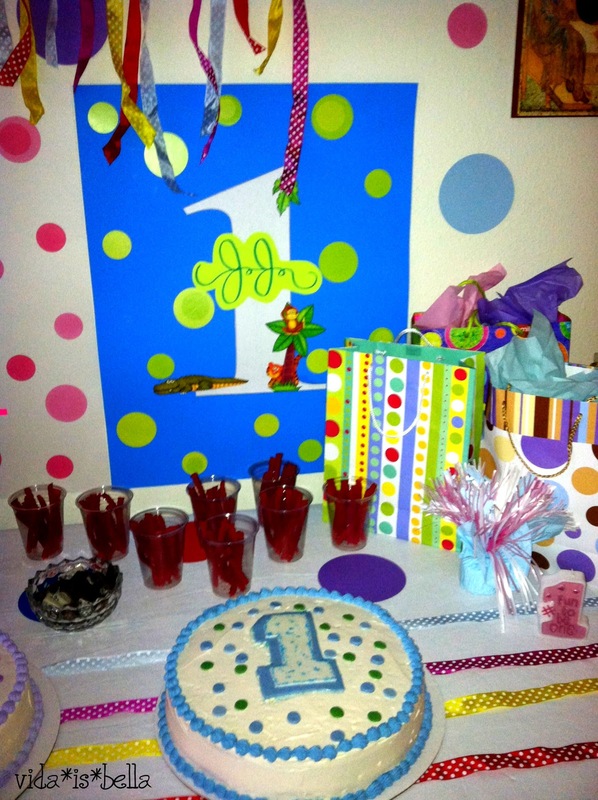 Lety made two circle cakes, one for each of the little ones, and topped them with fondant polka dots and 1's. 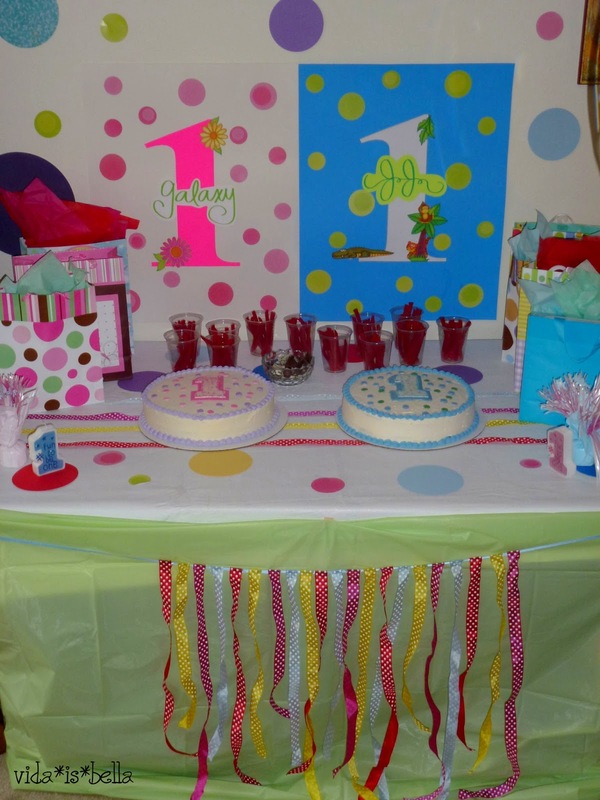 We covered the walls and table with circles cut out of paper and made a table runner out of polka dotted ribbon. The rest of the ribbon we hot glued onto a skinner ribbon which turned into a versatile decoration. First we hung it on the wall. And then put it on the front of the table. 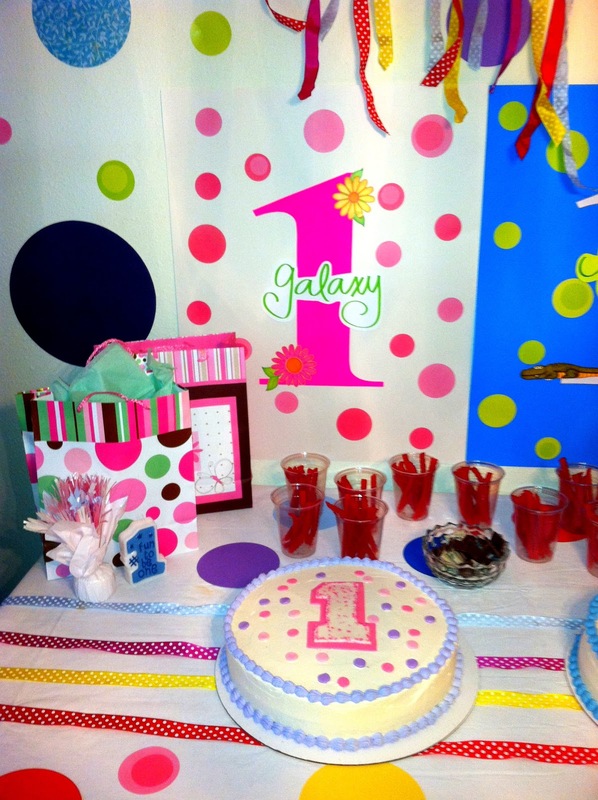 The backdrop of the table we made with some posterboard and polka dot stickers from the dollar tree. Happy Birthday Galaxy and JJ!